Westwater Canyon Multi-Sport engages Moab’s breathtaking backcountry via a red rock Hummer Safari and rafting the Class III-V rapids of the Colorado River while coursing through Westwater Canyon. MOAB, UT – Two popular multi-day adventure vacation packages invite active travelers to explore the wonders in and around the red rock playground of Moab, Utah, during the 2019 season. But visitors take note: due to the growing demand for quick escapes, space will go fast! Moab Adventure Center, the go-to specialists for all the outdoor pursuits Moab is famous for, has seen bookings increase every year for its 4-day Southwest Sampler and 4-day Westwater Canyon Multi-Sport vacation packages. The Moab Adventure Center is a division of Western River Expeditions (www.westernriver.com/) an adventure travel company headquartered in Salt Lake City, with operations and offices in Moab and Fredonia, AZ. 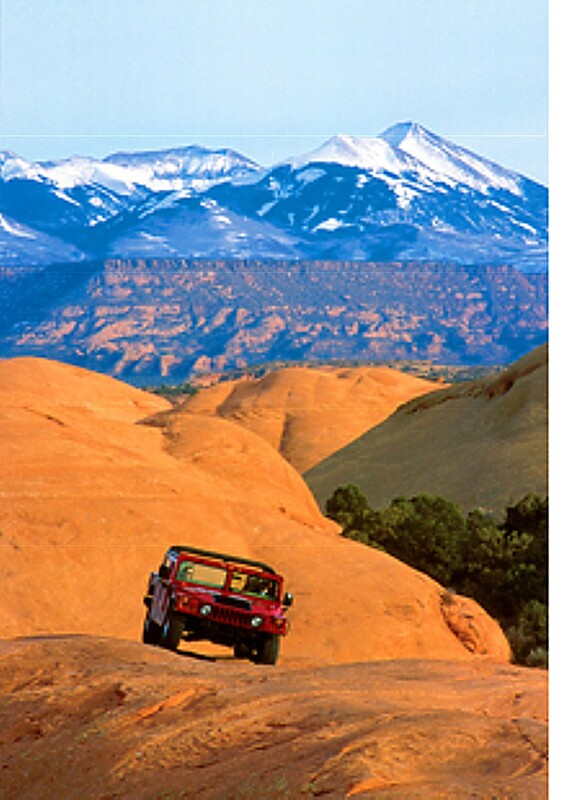 The company is one of the largest single tour providers in Moab, Utah. Located at 225 South Main St., Moab, UT 84532, the center also has a 2,000-square-foot retail space selling adventure related gear, clothing, maps and souvenirs For information and reservations call 435-259-7019 or 866-904-1163, visit www.moabadventurecenter.com. 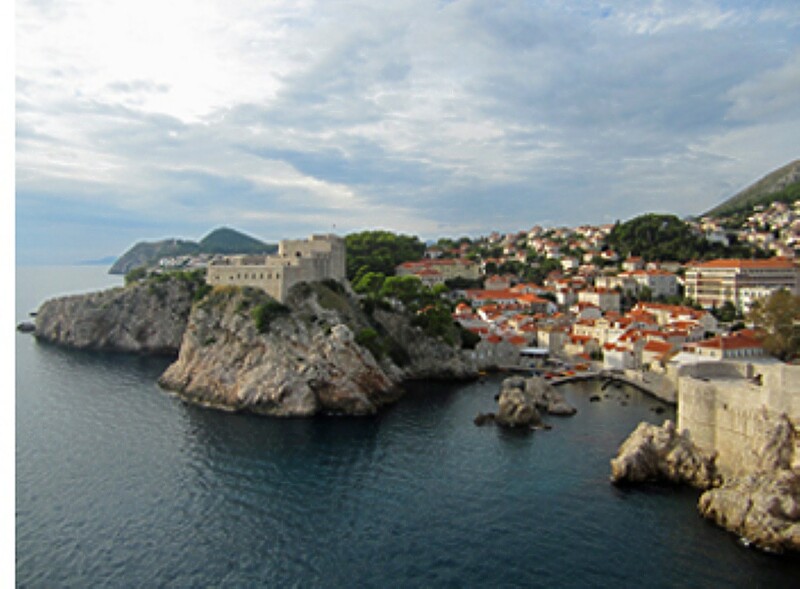 Wild Women Expeditions is hosting multiple departures of two new, distinct itineraries that embrace the blue waters and high-altitude wilderness of Croatia. CORNER BROOK, NL, Canada– Across the Adriatic Sea from Italy is a sun-splashed shoreline that marks Croatia, sometimes known as Dalmatia. Here in 2019, Wild Women Expeditions will host multiple departures of two new, distinct itineraries that embrace the blue waters and high-altitude wilderness of this secret Riviera. This itinerary begins in Croatia’s capital city, Zagreb, before departing for Kopački Rit Nature Park on the Croatian-Serbian border. During a homestay, guests will prepare dinner and perhaps hear stories about the history of what life was like in Tito’s Yugoslavia before the Balkan states erupted into being in the early 1990s. Croatia’s pride and joy are its national and nature parks. Kopački Rit Nature Park on the Danube floodplain is dubbed the European Amazon for its rich biodiversity and abundance of bird and wildlife. After exploring this wildest side of Croatia, the itinerary weaves through the mountains, tracing vestiges of Celtic and Roman civilizations en route to Dubrovnik. After hiking in Papuk Nature Park, guests will finish the day by arriving in Samobor to enjoy dinner and kremsnite, a puff pastry with custard cream unique to these high altitudes. Guests will further explore the Sambor Highlands before embarking on a hiking tour the following day through Plitvice Lakes National Park, home to over 16 lakes that cascade from one to the next. Leaving mountains behind, guests arrive in Split, a 1700-year-old city with the palace of a Roman emperor, Diocletian, dating from 4th century AD. Guests roll up their sleeves to play with clay, making souvenirs with natural elements and tools. Swimming, snorkeling and kayaking follow an overnight on Hvar, one of the countless islands in this region. Guests will then sail to Vis, an island that until 25 years ago housed the largest military base in the former Yugoslavia alongside traditional Dalmatian stone villages, many abandoned. The adventure begins in Zadar on the Dalmatian coast between Split (north) and Dubrovnik (south). This ancient center combines 8th-century religious art with Roman artifacts and Sea Organ, an installation that captures the music of the waves. One of the least accessible places in Croatia is Kornati National Park that exposes a jagged coastline with a rich submarine eco-system, natural beauty and interesting geomorphology. Guests paddle by bottlenose dolphins and slow-but-lovable loggerhead sea turtles through a labyrinth of small islands, reefs and islets that make up 12 percent of all the islands in the Croatian Adriatic. Cliffs drop steeply to the sea that supports families of fisherfolk who offer hospitality over home-made meals. Written documents from the 10th century confirm one island’s fishing tradition of 1000 years. In the Šibenik archipelago, a sailboat lends support for an open-sea crossing to a community of 249 islands, of which only six are inhabited. An undiscovered jewel on this archipelago is Zlarin, where, since the 14th century, islanders have been diving for colorful sea corals. A sea paddle to Krka National Park reveals a karst phenomenon with seven travertine waterfalls, numerous endemic endangered species, and over 1000 plant and 225 bird species. Speleology lovers are drawn to some 40 grottoes and pits; others to medieval fortresses, harbingers of the bustle of civilization that lies ahead in the farewell city of Split. 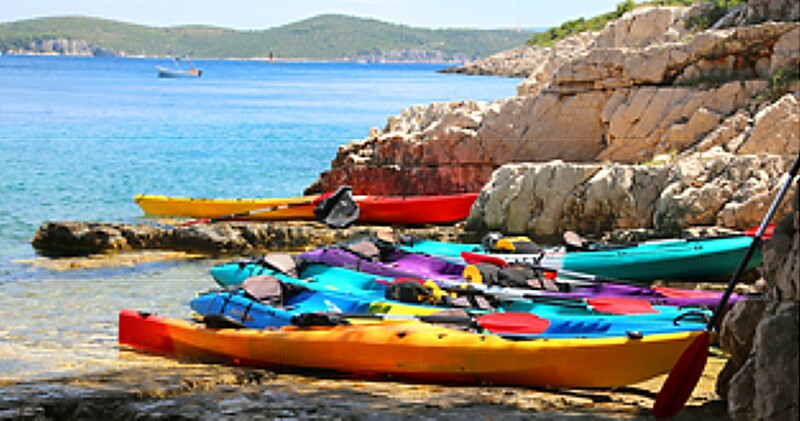 For details please see https://wildwomenexpeditions.com/trips/kornati-islands-kayak-adventure/. For itineraries, availability and reservations for these and all Wild Women Expeditions’ programs call 1 (888) 993-1222, email info@wildwomenexpeditions.com or visit online at https://wildwomenexpeditions.com/. Vagabond Small Group Tours of Ireland’s 12-day “Giant Irish Adventure” circumnavigates the island nation. Per person double rate of €2,769 includes the services of a highly trained professional Vagabond tour guide for 12 full days; 11 nights accommodation (4 nights B&B, 6 nights hotel, 1 night in a castle); 11 full Irish breakfasts; guided walks; entrance to most of the historical and archaeological sites and to some natural sites; demonstrations of local craftsmen at work; and all relevant fees and taxes. See: https://vagabondtoursofireland.com/tour/irish-tours-12-day-giant-irish-adventure/. This tour caters to active travelers who want time aplenty to explore where they are by foot. Hikes of up to two hours are daily highlights. Some activities such as horseback riding, sea kayaking and surfing and biking in Killarney National Park are optional. The tour is flexible and guests can arrange to opt out of one activity and into another. Among the historic stone structures guests may visit Dunluce Castle is a cliff-edge ruin from the 13th century, with views over the Irish Sea to Scotland; Stone Ring Fort (1700 BC) constructed by Bronze Age farmers as defenses against cattle thieves with such precision that no mortar was required; Glenveigh Castle and Gardens. a Victorian (1867) edifice in what is now Glenveagh National Park; the original owner drove poor tenants from the land so he could transform it into an aristocrats’ hunting playground; Donegal Castle was built in the 15th century on the site of a one-time Viking fortress; Abbeyglen Castle Hotel where the mountains of Connemara meet the sea was constructed in 1832 (overnight here); Beehive huts (Clochán) date to 5th century monastic settlements (think Luke Skywalker’s retreat in Star Wars); Blarney Castle dates to medieval times; kissing the Blarney Stone is said to bestow the gift of eloquence; Rock of Cashel or St. Patrick’s Rock from the 12th century boasts a Romanesque chapel harboring ancient frescoes. On the daily walks and hikes, guests explore: Slieve Gullion Mountain, the highest point in Ireland which harbors Neolithic passage tombs; Cliffside Trail including 132 steps to Giants Causeway; Slieve League, the highest sea cliffs in Europe; Croagh Patrick, the famous holy mountain where every step taken means a sin forgiven; Cliffs of Moher, 700-foot sea cliffs; Kilkee Cliff Walk overlooking the Atlantic; Glacial valley of Lough Annascaul. Throughout the journey, the Vagabond arranges stops at locally owned accommodations, pubs and restaurants Transport is in a 4×4 Land Rover or Mercedes ‘Vagatron’ that allows intimate access beyond where regular tour buses go. For details on Vagabond Small-Group Tours of Ireland itineraries, visit https://vagabondtoursofireland.com/, 833-230-0288, or email: info@vagabond.ie or info@driftwood.ie. Austin Adventures has just launched a multisport vacation encompassing Grand Teton, Yellowstone and Glacier National Parks. BILLINGS, MT–Austin Adventures, a specialist in multisport vacations in national parks, has just launched a new way to experience three iconic Rocky Mountain destinations in one immersive journey. Over eight active days this summer, guests will go hiking, rafting and horseback riding through Grand Teton, Yellowstone and Glacier National Parks while recharging each night at distinctive lodges. Austin Adventures’ new-for-2018 Montana & Wyoming Rockies Adventure collects guests in Jackson, WY, where the week-long expedition begins. There’s time to explore this Wild West town before settling into the Rustic Inn Creekside Resort & Spa located on seven lush acres adjacent to the National Elk Refuge and just a few blocks from Jackson’s lively town square. Welcome to the heart of the Rockies. These mountains, constituting the spine of North America, rise thousands of feet out of the prairie, dividing the continent and providing some of the most dramatic and geologically diverse landscapes in the world. Those who have chosen to make their lives here are, among others, the guides, wait staff and innkeepers who interact with guests, sharing their understanding of this landscape while passing on love and lore. “Our mantra is to engage as many senses as possible on an Austin Adventure,” says Dan Austin, founder and visionary director (https://www.austinadventures.com/). gaze 1,000 feet down into the V-shaped gorge of the color-splashed walls of the Grand Canyon of the Yellowstone River. investigate Yellowstone’s four geothermal features: spouting geysers, steaming hot springs, hissing fumaroles and bubbling mud pots. Excursions from Jackson Hole will first introduce guests to the wonders of the Grand Tetons. Then moving into Yellowstone territory, guests are guided to views of the Grand Canyon of the Yellowstone on a backcountry hike that favors moose and elk sightings over the distant din of summer crowds. Arriving at Canyon Lodge there’s the opportunity to step back from technology and embrace lodging in the country’s oldest national park while chatting fireside with new-round friends. Departing the park at the West Gate, a 110-year-old Montana homestead, 320 Guest Ranch, offers cowboy comfort along the Gallatin River that winds through sage and towering pines. The movie A River Runs Through It was filmed nearby. The scenic drive north to Glacier National Park is interspersed by a stop at the famous pools of Fairmont Hot Springs Resort. Guests spend a night here before heading to Whitefish, Montana, and two nights at the Grouse Mountain Lodge, one of the region’s finest. 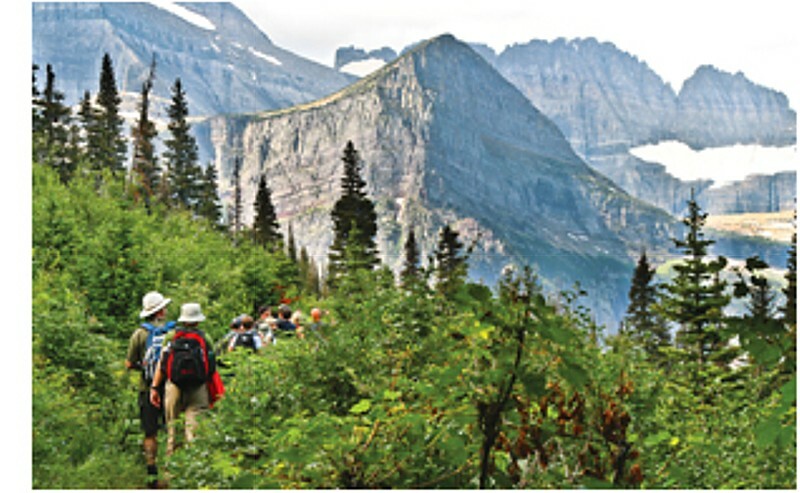 A day is spent exploring Glacier Park with a hike along the Highline Trail (also known as the Garden Wall) to Haystack Butte and back. A drive along the famed Going to the Sun Road reveals an alpine environment that wows with its wildflowers, precipitous peaks and an occasional mountain goat or bighorn sheep. A final gondola ride up Whitefish Mountain to soak in the breathtaking views precedes a transfer back to the Kalispell airport for the inevitable return home. The per person double rate is $3,998 ($80 single supplement). Departures in 2018 are July 15 and July 25. The rate includes accommodations; all meals (except one on-own dinner); fully trained, first-aid-certified professional guides and knowledgeable local partners; all necessary equipment for scheduled activities; vehicle support and land transportation during the trip; Austin Adventures T-shirt, water bottle, luggage tags and luggage service; pre-departure and packing information; and incidental expenses such as taxes, dining and housekeeping gratuities, local partner and expert gratuities and national park entrance and permit fees. Contact Austin Adventures at 800-575-1540, email info@austinadventures.com or visit www.austinadventures.com.